URGENT: Next Payouts Mail Soon! It’s robbed us of our jobs. Hacked into our government offices. It’s devastated our heartland... our businesses... and the livelihoods of millions of Americans. 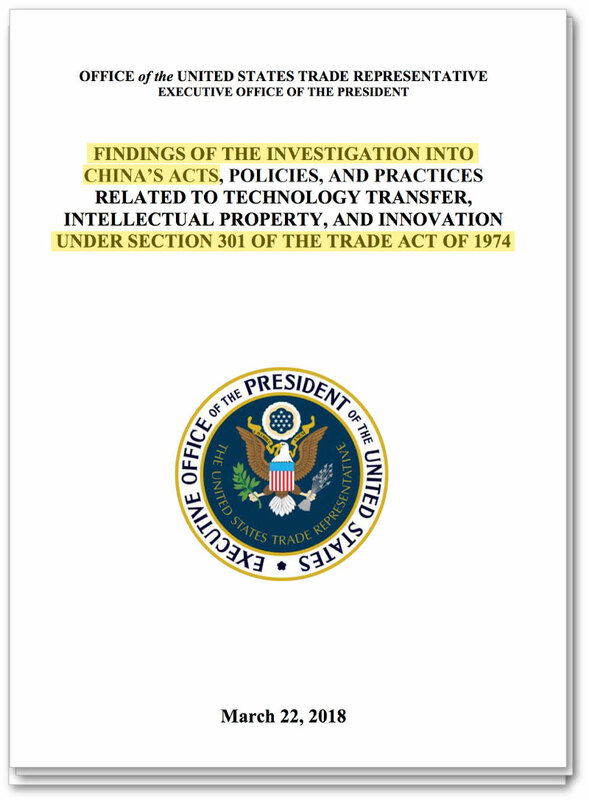 In July 2018, the Trump administration served China with a $250 BILLION “payment due” notice... filed under an obscure clause buried in the Trade Act of 1974. This measure will force China to put cash back into America. And as you’ll see in a moment, China MUST pay. “The free lunch on American intellectual property is over,” reports Assistant U.S. Attorney Timothy O’Shea. This is a GIGANTIC new turn of events. We expect $250 billion in cash (and maybe MORE) will flood BACK into America in the coming months. Every U.S. citizen is now able to tap into this payback bonanza! Why am I calling them “Payback Checks”? And a GREAT way for you to potentially profit from China having to “settle up” with the USA after ripping us off for decades. That’s money that we all rightfully deserve to recover! Texas A&M grad Carl Urbani is poised to pick up an extra $23,444. 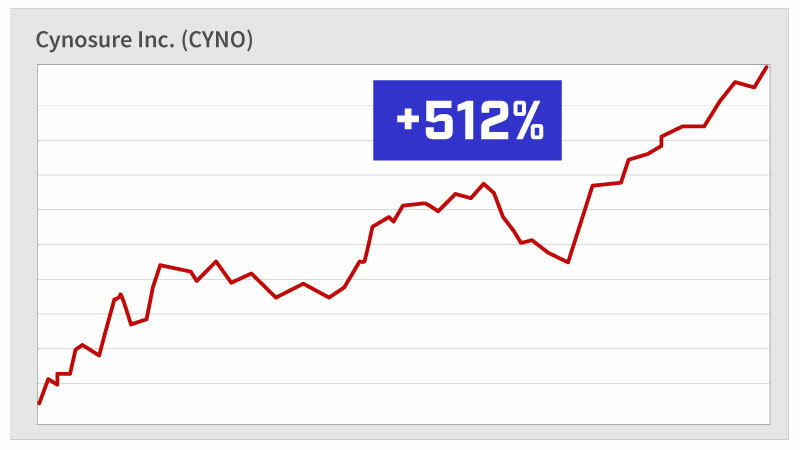 And in Salt Lake City, Rich Canini is set up to rake in $48,140 in “China Payback Checks” over the next year. Well, now the USA is flipping directions on that wealth transfer! And you’ll be all set up to collect income from those publicly traded companies. Better yet, YOU get to decide how much you stand to make! With a larger stake, you could even make $10,000 per month or MORE – like the folks above. Remember, we’re tapping into a $250 BILLION jackpot here. Which means that no matter your age or financial situation, you can claim your share. All it takes is a few clicks on a website to get started... and you could collect your first check just days from now. But you’ll want to act fast. And your payout could be one of the biggest ever. Never again will something “Made in China” make you feel so good! I’m Matthew Carr, Emerging Trends Strategist at The Oxford Club. And I’ve seen firsthand what China’s attacks on America have done. I grew up in tiny Canaan Valley, West Virginia. But these days, the scene is not quite so pretty. Every year when I go back to visit my hometown, another store has closed. Another building is collapsing under its own weight. And places that were once busy parking lots are being reclaimed by weeds. Between 2001 and 2015, the U.S. lost more than 3 million jobs as a result of China’s policy, according to the Economic Policy Institute. The kinds of folks who live in Canaan Valley... and all across America. It’s a crime when hardworking Americans have their dreams snatched away. Yet that’s what China’s bullies have been getting away with for the past 20 years. 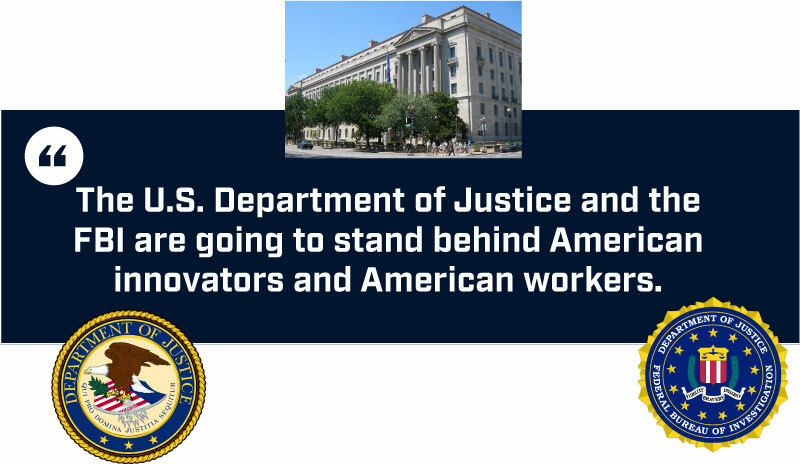 They’ve stolen the American right to a good job with fair pay. And that’s why I’m talking to you right now. My mission is to help Americans reclaim the lives they once had... with good jobs, safe communities and a retirement that’s fully paid for. 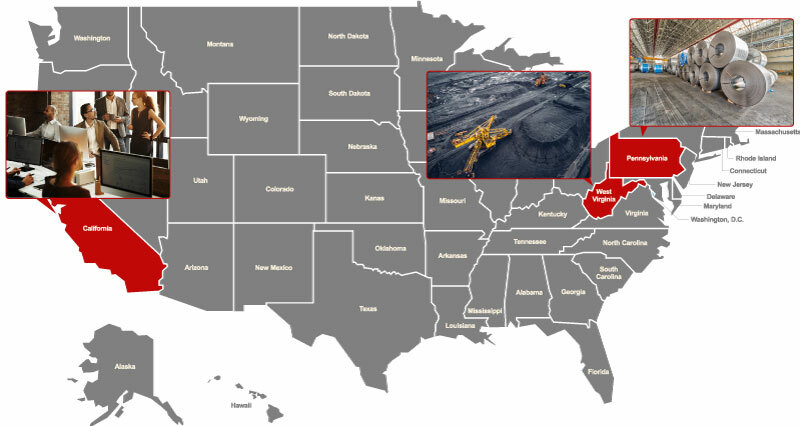 China Payback Checks could be headed to Canaan Valley – and to every American town – very soon. Now, if you’re anything like me, you’re probably not the type of person who’s interested in handouts. But as an American, you should have ZERO QUALMS about getting your fair share of compensation from China. Americans have already demanded justice in their own ways... and GOTTEN IT... through landmark decisions in federal courtrooms all across the country. And in Georgia, the DOJ just collected a $10 million fine from a company caught dumping cheap wooden furniture into the American heartland. Court settlements like these are leading to billions in restitutions getting paid out to American companies. I’d say it’s about time! Yet that’s all small potatoes compared with what’s about to happen next. The White House is enforcing a much larger case against China and all the damage it’s done to America. 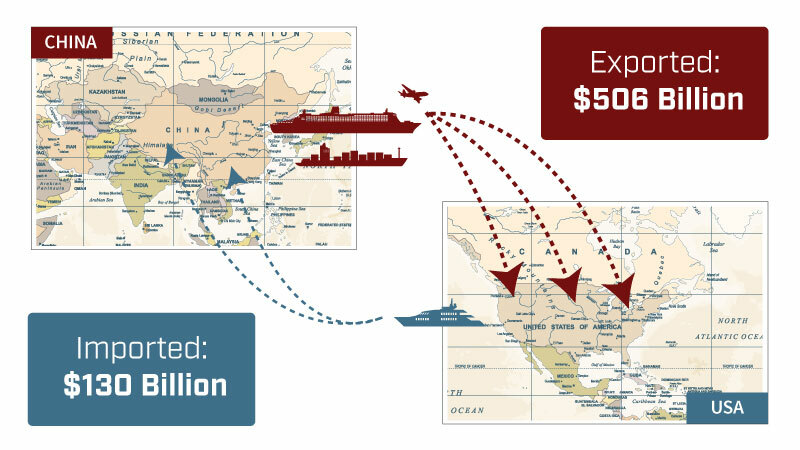 This enforcement could help billions of dollars return to American soil. And that’s where YOUR opportunity to collect thousands per month in private sector China Payback Checks comes into the picture. And outdoorsman Paul Perry, who’s on track to collect China Payback Checks for – on average – $12,463 per MONTH. These company insiders are in prime position to collect their giant checks. The U.S. government’s historic crackdown on China started only recently – in early 2018. But this development could soon help hand everyday Americans more money than perhaps any set of economic sanctions in the history of the world. What development am I referring to? 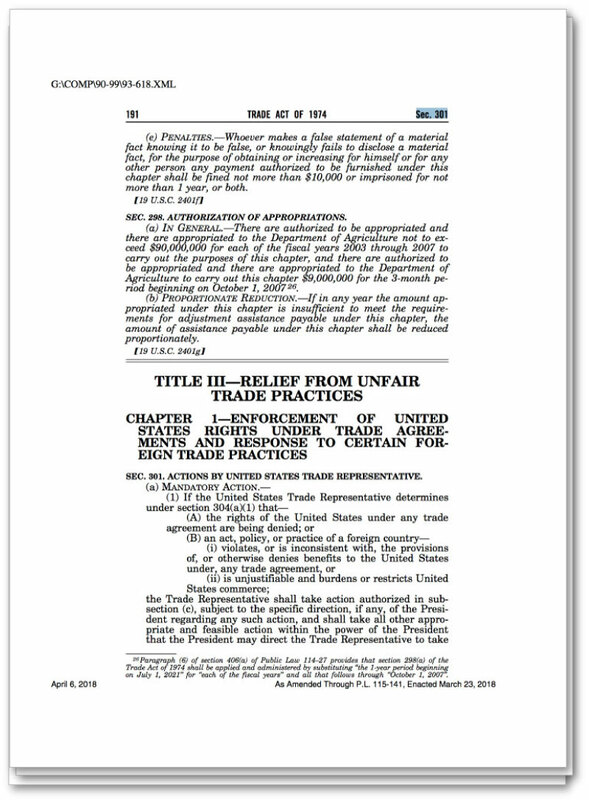 It’s the Section 301 provision of the Trade Act of 1974. The Act was first signed into law by then-President Ford. Let me prove why it’s about to hand regular investors like you a life-changing opportunity. It all starts with the trade imbalance between China and the U.S. It is BY FAR the largest in the world. While China exported $506 billion to the USA. This is not some sort of one-time fluke. Over the last 20 years, our trade imbalance has added up to a monumental $4.5 trillion. In short, China is getting $5.6 trillion out of the deal, and we’re only getting $1.3 trillion. We’re losing jobs left and right. Sooner or later, this vicious cycle catches up with every American. ALL BECAUSE CHINA DEVALUES PRACTICALLY EVERYTHING MADE IN AMERICA! So in August of 2017, the president instructed his staff to get to the bottom of the whole China trade disaster. And on March 22, 2018, our U.S. Trade Representative, Robert Lighthizer, officially... Came up with a plan to end the China imbalance for good. His 215-page “Payback Plan” laid out DOZENS of examples of unfair acts, policies and practices of the Chinese government. And it PROVED, beyond a shadow of a doubt, that U.S. companies, workers and shareholders have lost billions in wealth. And it showed how it’s even manipulated its currency to gain advantages over U.S. companies. And it’s taken money – serious money – out of the pocket of every man, woman and child in America. But on April 6, 2018, we officially struck back! And it’ll have to pay that cash if it wants to continue doing business with us. Naturally, the benefits we reap from that action will pour back to these aggrieved parties across America. And you can by start receiving China Payback Checks for yourself. Well, fortunately, China Payback Checks are not a part of a class-action payback or a specific lawsuit. That would be a pain! Instead, they work in a much simpler way. Essentially, the Trump administration has identified key industries and markets across America that have been hurt the most by China’s actions. And the new plan will force China to transfer its ill-gotten gains back to these companies. In turn, their shareholders would be in position to reap the profits as well. So to set yourself up for China Payback Checks, all you have to do is take a stake in these companies. Like Rick Jones... before he hit the big time, he was a parking lot attendant in Connecticut. But after a long career, he’s ready to retire... and now Rick is ready to lock in his upcoming China Payback Checks for $39,182 or more. 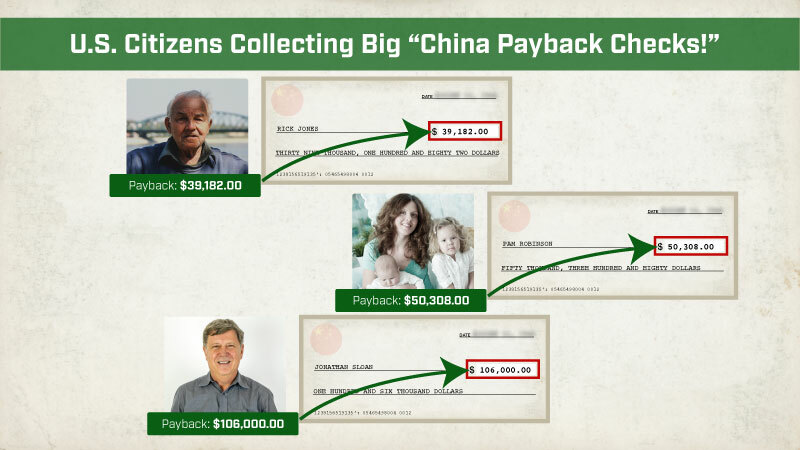 In Lake Forest, Illinois, Pam Robinson, a mother of two, is set to receive four China Payback Checks for a total of $50,308 this year. And he’s been known to turn over a portion of his income to children’s charities. Now, Rick, Pam and Jonathan are set to collect so much because they’re also enjoying successful careers as company insiders. 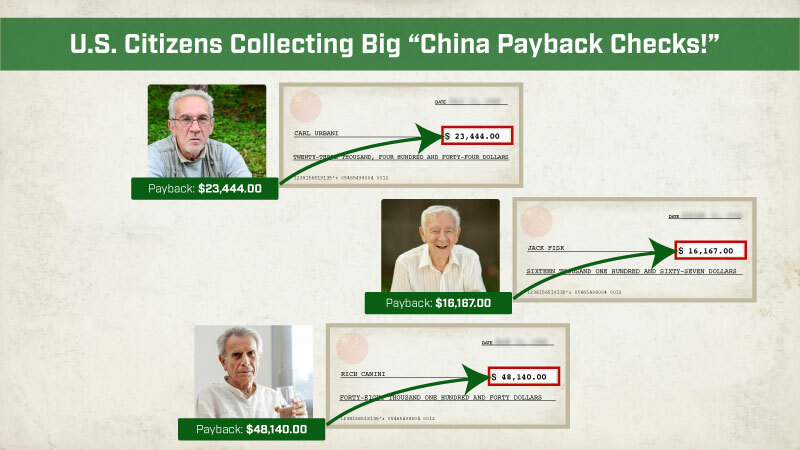 But everyday Americans, regardless of their situation, can join these people in receiving China Payback Checks too. And you’ll then have the chance to receive your portion of the money to be paid back to America! And while we don’t know for sure, I believe I’ve found the companies that are most likely to receive these benefits – and pay their shareholders. My expert researchers and I have been investigating this situation for more than FOUR months. And now I’ve identified a handful of specific businesses that I expect to receive the MOST money from China. To collect China Payback Checks, you simply take a stake in one or several of these, and you’re all set up. You don’t have to do anything else if you don’t want to. Then, of course, you’re free to use the cash however you see fit. Or even “give back” to a favorite cause. Stocks can go down in value. If shareholders in these companies begin collecting China Payback Checks, do you think the stock will be in higher demand, or lower? Of course it will be higher. In fact, I expect that once the word gets out, these will become some of the hottest stocks on Wall Street. There’s no denying that the $250 billion China owes us is going to help a lot of Americans in a lot of different ways. And I want you to be one of the first! Why would China pay all this cash to America? Why wouldn’t it just forget about us, forget about the $250 billion it would have to pay us and move on to screwing the rest of the world? No doubt you’re aware that China is the world’s most populous nation. 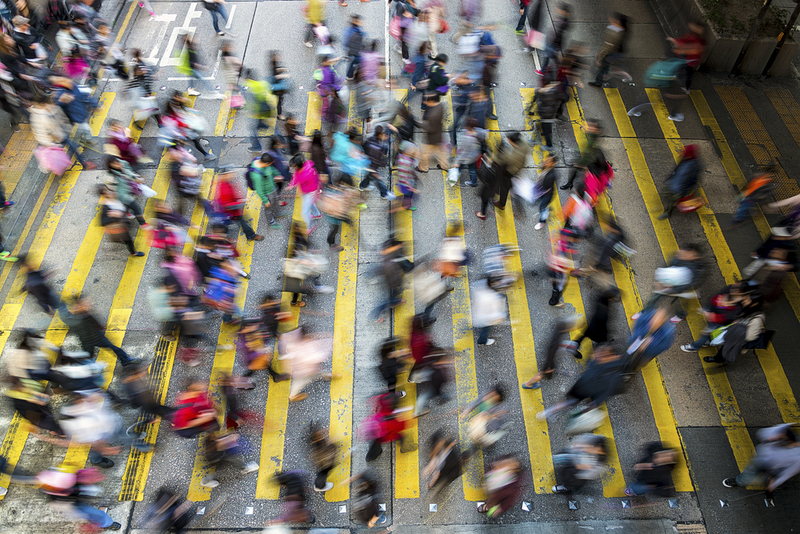 1.4 billion people jam-packed into cities all over the country. The United States has ten metro cities with populations of more than 1 million. By comparison, China has more than 100! And how does China manage to feed all of these people? The United States will ship 2 billion bushels of soybeans in 2018 – and China has always been our top buyer. And more than 100 million bushels of grain. China recognizes that without America, the country might literally starve. Beyond that, China realizes that America is BY FAR the largest market for its products. If we cut it off, its economy will collapse. 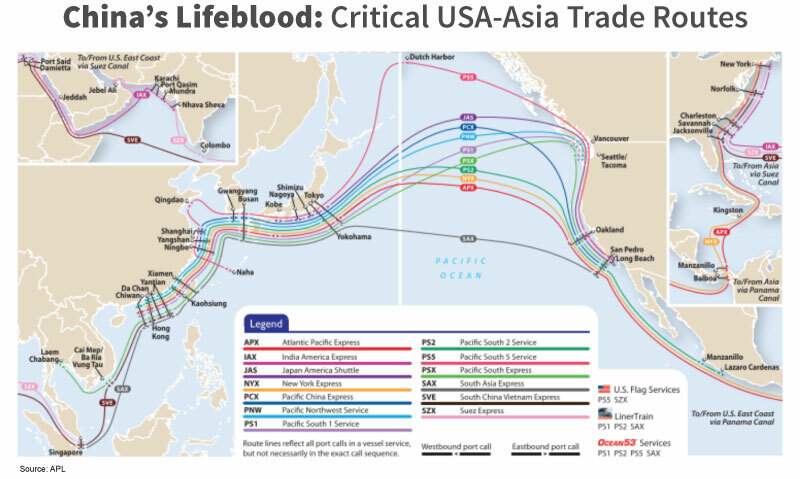 Up until now, America hasn’t used this trade chip against China. It’ll have to “pay back” hardworking Americans for all the jobs it’s stolen over the last 30 years. It’ll have to play fair. In other words, the China Payback Checks are practically in the mail! In short, China can’t afford NOT to do business with the USA. China Payback Checks come straight from U.S. companies that’ll benefit from China “settling up”... so they’ll be denominated in U.S. dollars. You won’t need to make any weird currency transfers or anything like that. 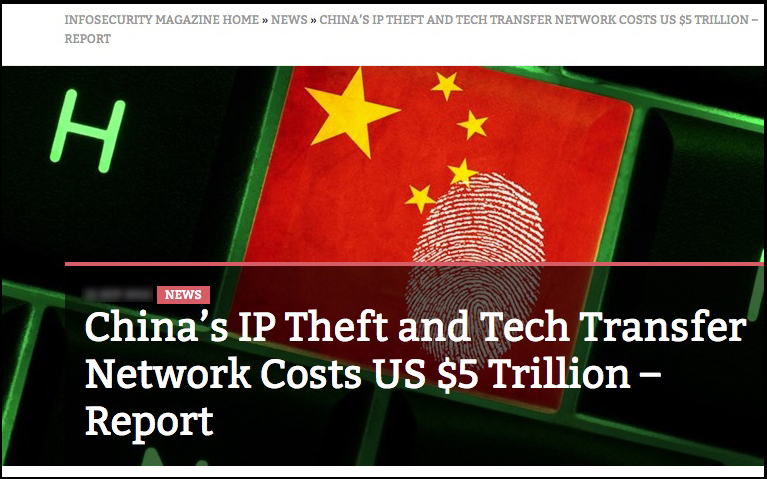 You don’t have to fill out any claims forms to prove you that you were specifically targeted by China or Asian hackers, or suffered any kind of physical losses. In short, this is a “blanket payback arrangement,” where EVERY U.S. citizen is eligible. You just need to follow a few simple instructions I’ll detail below. And the cash should show up verified in your account within 24 hours. You can even deposit these checks in any ordinary ATM! Personally, I still like dealing with real people, not machines, for serious transactions. And there’s just something about holding that high-dollar deposit receipt right in your hand! 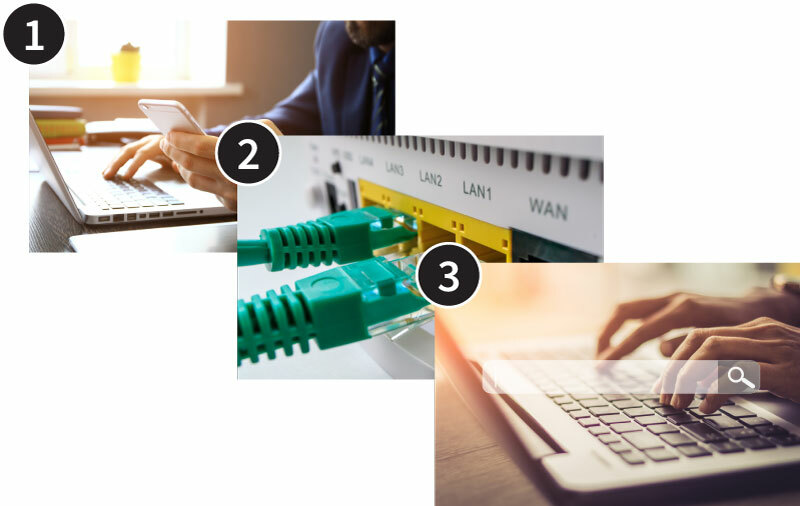 You can get started with three simple steps... in less than five minutes. And a starting stake as big or small as you choose. In a minute, I’ll show you exactly how to get started collecting up to $35,410 per year or more. You could collect your first payout as early as tomorrow. But first let me tell you a bit more about myself and my mission. As I mentioned, I’m Matthew Carr, Emerging Trends Strategist at The Oxford Club. 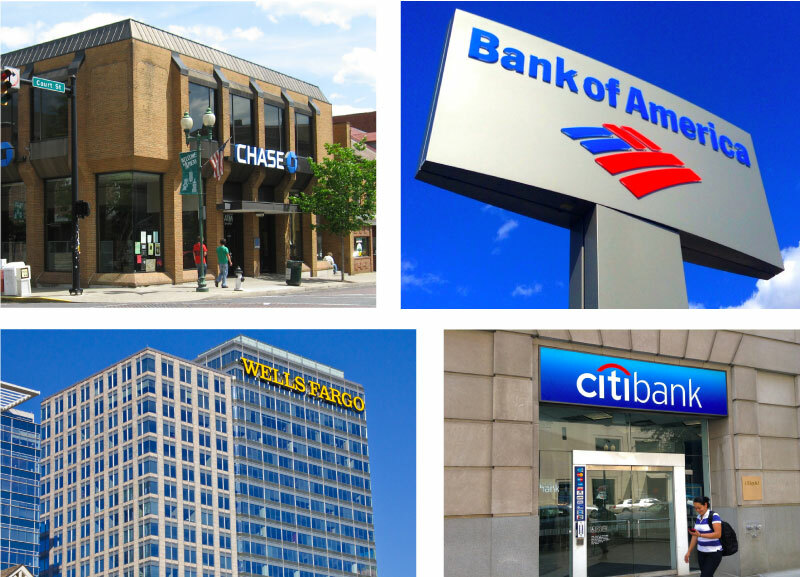 I specialize in identifying the biggest, most profitable financial trends before they happen. And I’ve shown them how to make some VERY SERIOUS money. Thanks, Ken! Glad to hear it. Then there’s reader Henry Martin. He just sent me a note saying he’s “up more than $800,000” on my recommendations. Henry joined me only less than a year ago... so his $800K gain is truly breathtaking in such a short period. 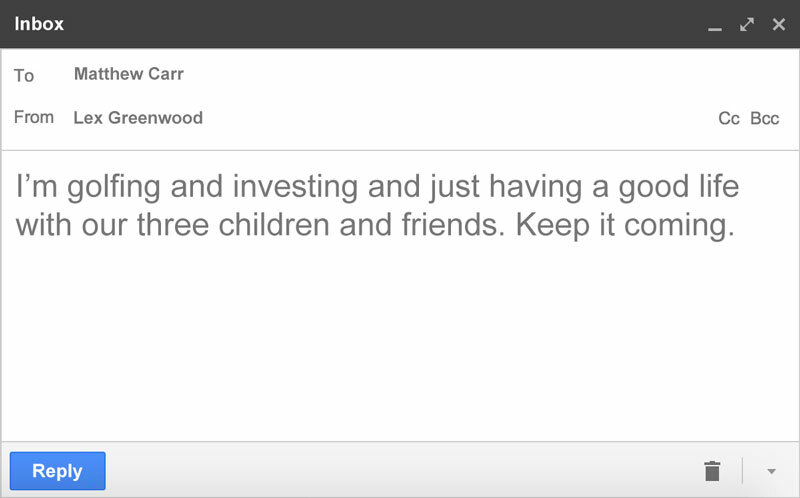 Helping people become financially independent quickly is why I do this job. Personally, I’ve been investing since I was 18 years old. And a huge reason is that our leaders didn’t fight back when China stole our livelihoods. There’s a feeling of renewed hope starting to spread around states like West Virginia, where I grew up. Hope – backed by cold, hard cash. 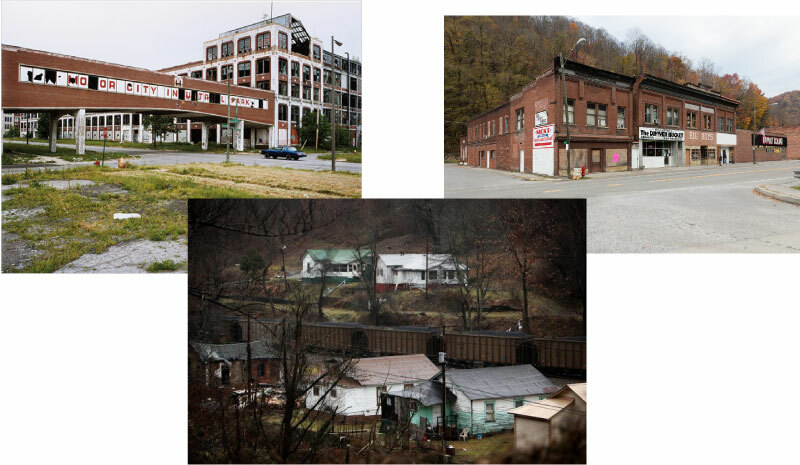 America has forced China to send $84 billion back into the pockets of West Virginian companies that it had stolen business from. “I’m a lot more optimistic than I’ve been for the last five years,” says Mike Clowser, a local construction supervisor. But now, China could be paying it back to workers in all kinds of different industries. 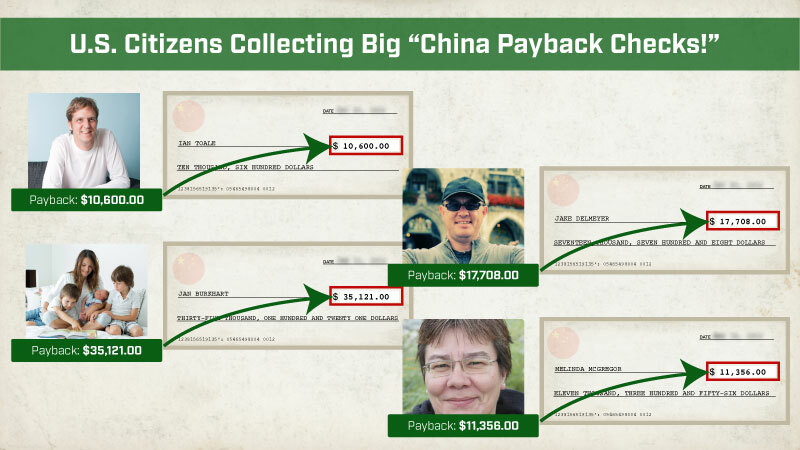 Even Texas schoolteachers are set to collect $40 million in China Payback Checks over the years. And in Wisconsin, regular folks like firefighters and policemen are due to collect as much as $143 million from their China Payback Checks. 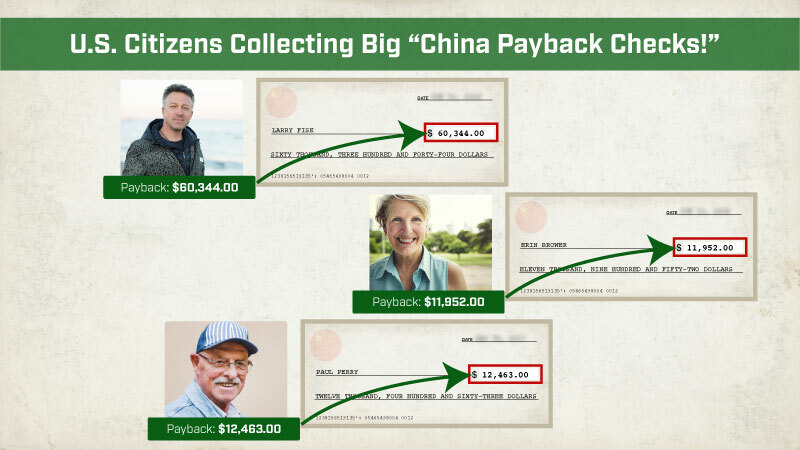 In short, residents in towns all over America will be getting their hands on China Payback Checks. And I’m on a mission to get the word out. I want to help hardworking citizens and retirees get the rightful compensation they deserve. Remember, $250 billion was out-and-out looted from America’s wealth. But now the day of reckoning has arrived. China, you are officially busted! That money is coming back. And ANY American can get the chance collect what’s rightfully owed to them. Folks all over the country are desperate for some help. And China Payback Checks are going to be a godsend for so many people. Like Ian Toale, a hockey nut who lives up in ice-cold Minneapolis, Minnesota. He’s due to collect more than $10,600 this year. Maybe Ian will use the extra cash to get a pair of season tickets for his favorite team... or just help pay for his heating bills! Then there’s Jake Delmeyer, a camera buff who studied at Lehigh University in Pennsylvania. He’s on track to get a China Payback Check for $17,708. And a two-week African photo-safari trip so he can try it out! Jan Burkhart, a mother of three from Wisconsin, is no doubt looking forward to her upcoming $35,121 annual China Payback Checks. Plus treat herself to some special things a mom deserves as well. 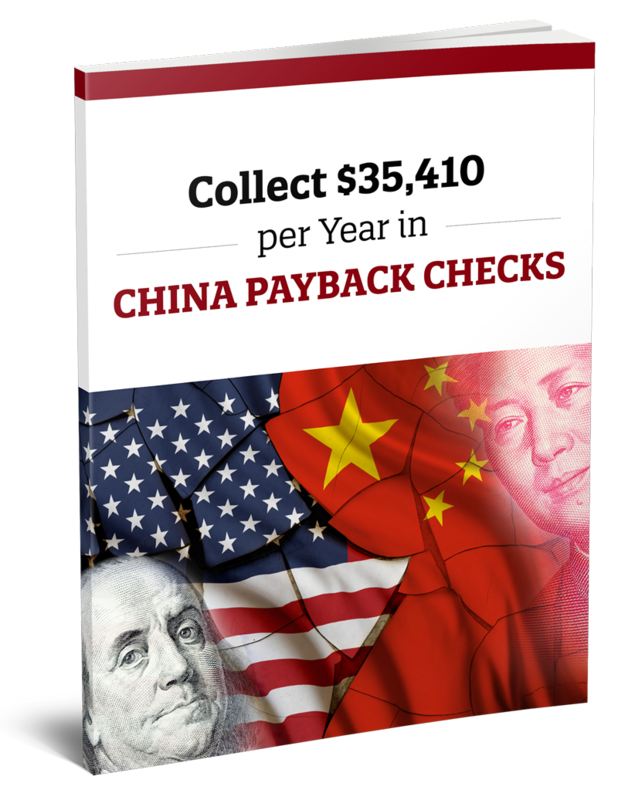 Technically speaking, you don’t even have to be a lifelong resident of the USA to collect China Payback Checks. For example, taxpayer Melinda McGregor, originally from Ontario, will collect an extra $11,356 this year. Again, these are individuals with large stakes... where larger risk equals greater reward. But that’s the beauty of the China Payback Check opportunity. YOU control how much you stand to make! And there’s never been a better time to get started than right now. Our figures show that Americans could collect up to $35,410 per year or more... perhaps MUCH more. I’d like to send it to you with my compliments, just a few minutes from now. We hunted down the sectors and businesses that stand to benefit most from the new cash flowing in from China. And then we whittled the list down to a handful of the biggest potential winners. These are FIVE exciting companies that we expect will send out the lion’s share of China Payback Checks to their shareholders. So you are in position to receive the fattest payouts. Or, if you’re already retired, it’ll be like receiving a second... even bigger... Social Security or pension check. With your China Payback Checks, you could start collecting a check every month... or sometimes more often... all year ‘round. 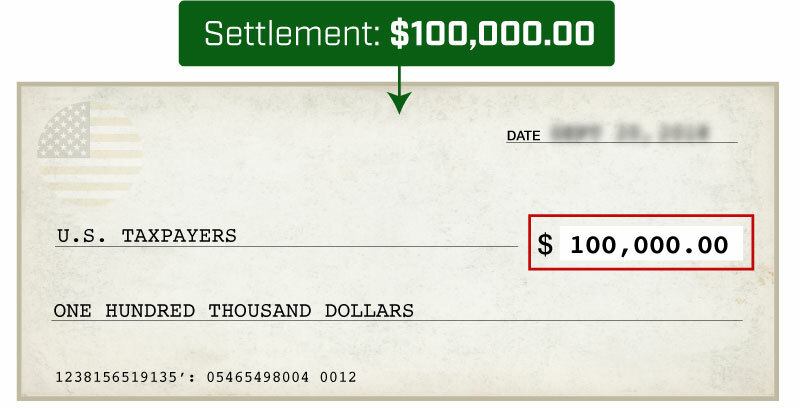 Keep in mind, these payouts do vary... the sum may be less (or more) each time, and you may not always receive them. But right now we expect you’ll start each year going forward with two payouts in January... another in February... two more in March... and they’ll keep on coming! On and on throughout the year, right through the holidays in November and December. In total, I estimate an entire year’s worth of China Payback Checks could add up to $35,410. It’s so easy to get set up, you’ll only need five minutes to get started. And there’s another huge benefit we haven’t even touched on yet. Cash Out Your Equity Stake for $50,000 or More! But the shares that you own ­- the ones that come with access to China Payback Checks – are also likely to skyrocket in value too. Once Americans start to pick up on the fact that they can receive China Payback Checks just by owning a stock... it’s likely to drive the prices of those shares much higher. You could see 100% gains or more. You could be in position to cash out your equity stake – in return for a “lump sum” payout of $50,000... $100,000... perhaps even $500,000 or more. You can claim your copy today for FREE. Why am I willing to give this away? What China’s gotten away with for two decades makes me sick to my stomach. While Uncle Sam stood by and did nothing! But now, China must pay – and I want to make sure you get your just due. I’ll be fighting to help put dollars back into the pockets of Americans. 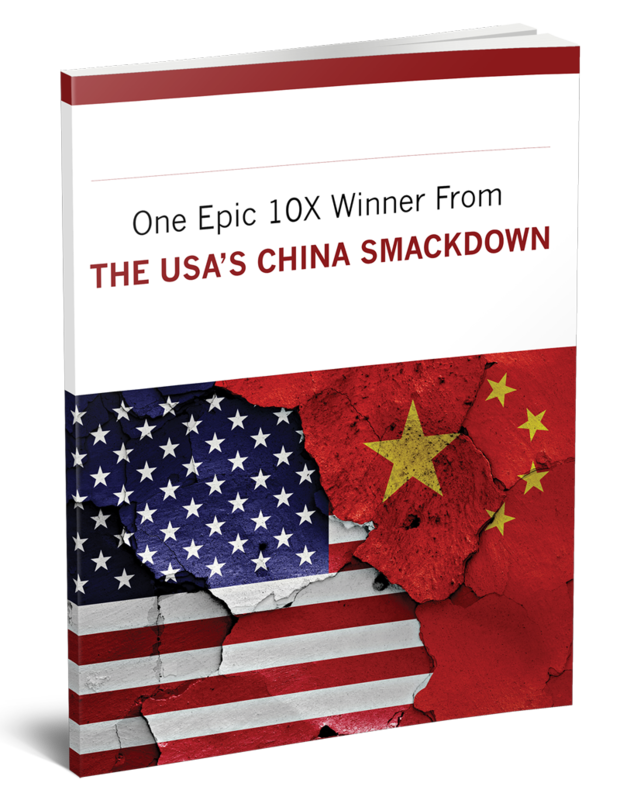 Not just with China Payback Checks, but also with the most explosive opportunities in the markets today – which I’ll identify for you. It’s called Strategic Trends Investor. It’s especially tough for regular American investors to make a decent buck these days. You have to be careful with your hard-earned money and investments. My goal with Strategic Trends Investor is to uncover serious profit opportunities you WON’T hear about on the financial TV shows, or in newspapers or magazines. 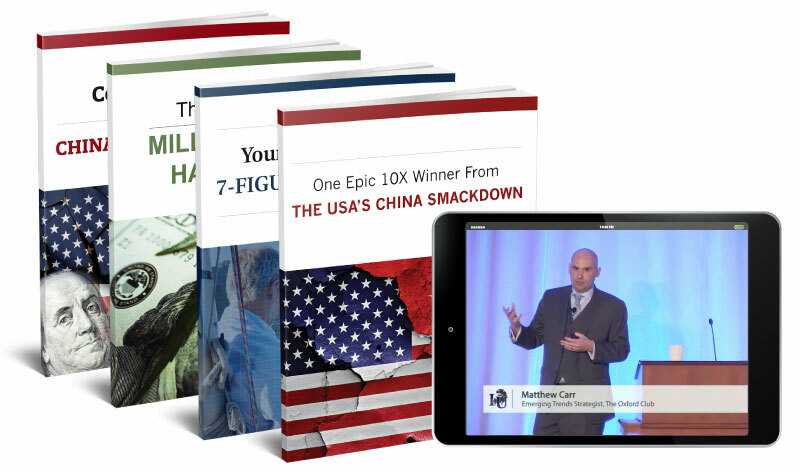 To give you REAL moneymaking ideas you will NOT hear anywhere else. 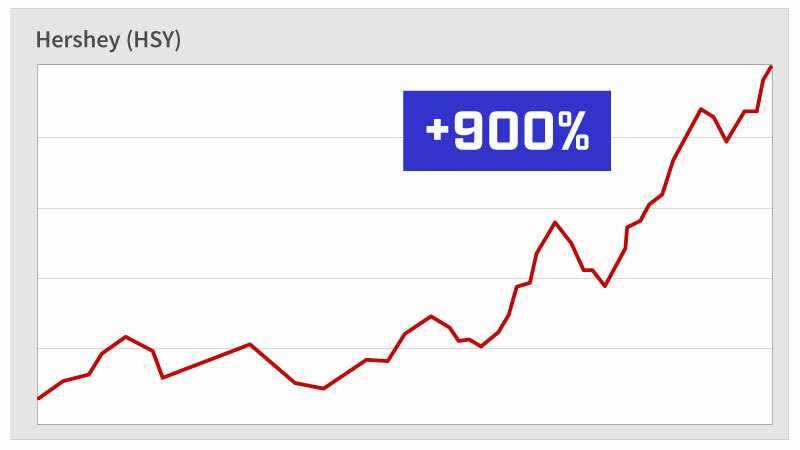 And Hershey rocketed 900% after my recommendation. It would take 128 years to grow your money 900% in a typical IRA or 401(k)! Don’t quite have 128 years to get rich! 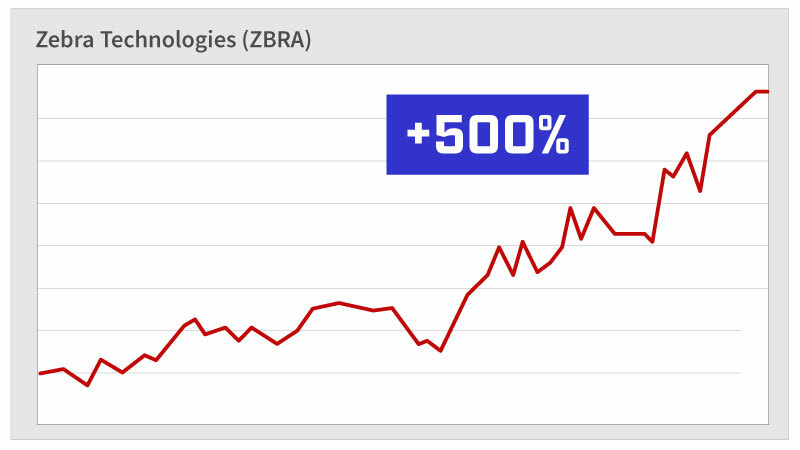 And, frankly, my Strategic Trends Investor subscribers can make a lot of money following my recommendations. When I find a new trend or opportunity, I go all-in to find ways for you to make money. This market is projected to surge SIX TIMES bigger than Colorado’s. As more and more governments legalize weed, the gains for investors get bigger and bigger. No wonder small, simple investments in pot are making people fortunes! That’s enough to turn a quick $5,000 stock purchase into a jackpot worth more than a quarter-million dollars. 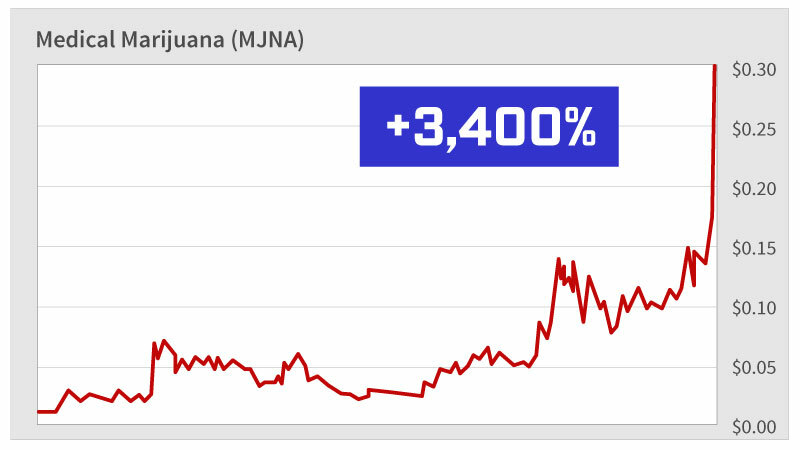 But what’s amazing is that the bull market in marijuana is just getting started. Before this year, only 5% of the U.S. population lived in a state with legal recreational marijuana. Imagine what’s going to happen to pot stocks as the rest of America climbs onboard!!! It’s a trend that’s like a runaway freight train. Nothing is going to stop it. Or like my subscriber Lex Greenwood, from Myrtle Beach, Florida. He put a hefty $29K into one of my top recommendations... today it would be worth more than $80,000! I believe marijuana is one of the premiere growth sectors of the next decade. Buying in now is like buying stock in Budweiser just after Prohibition ended. You’d have made a fortune. And today you have that same chance with pot stocks. 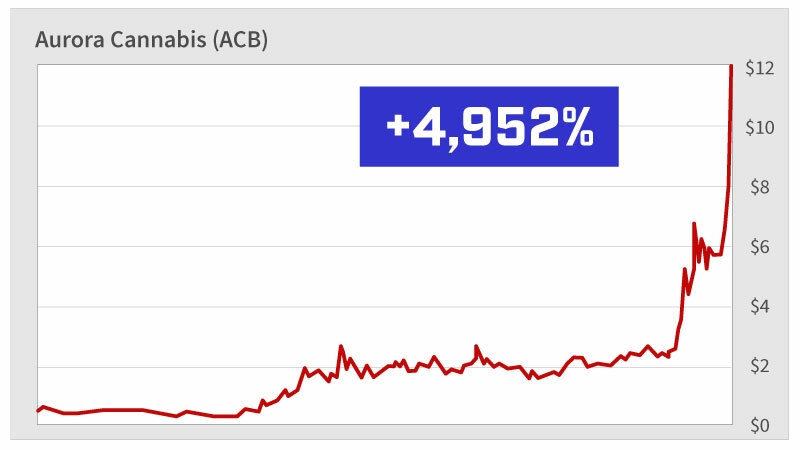 In it, you’ll get the names and ticker symbols of the BEST pot stocks primed to explode hundreds, maybe even thousands, of percent! Heck, my pot stock recommendations have gone up as high as 122%... 171%... 274%... 344%... and even 531%. All in just a few months! But as you’ve seen... we’re just getting started. 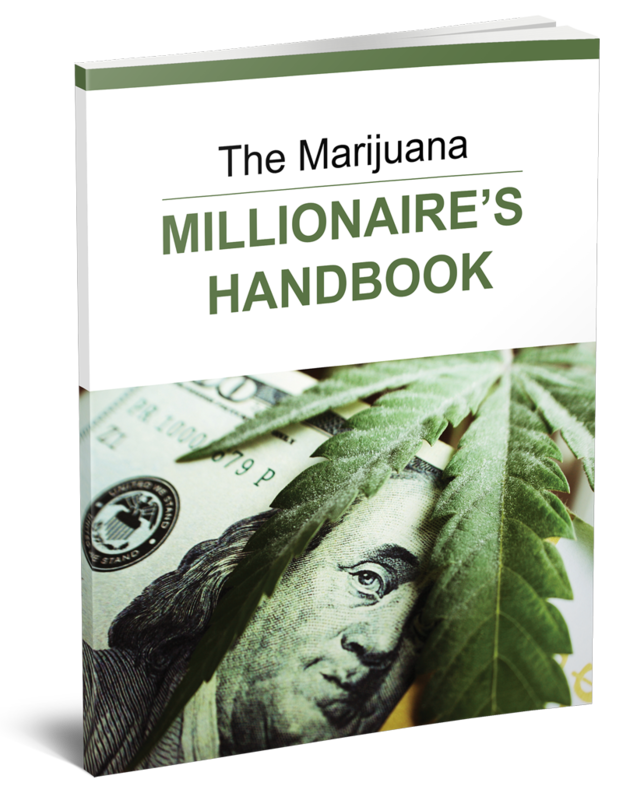 I’m ready to send you my “Marijuana Millionaire’s Handbook” just minutes from now. 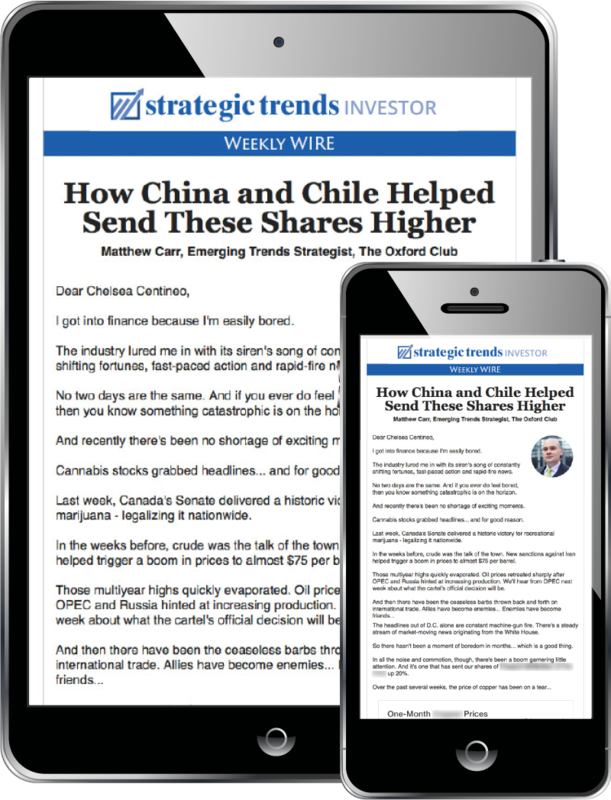 This research is easily worth $198... but it’s all yours FREE as a new subscriber to Strategic Trends Investor. But that’s not all I’m going to give you today. I want to be 100% sure you have the chance to rake in cash from every opportunity my research team and I have uncovered. First, obviously I love getting in on big trends before everyone else. It’s finding these special growth opportunities that can turn regular investors into millionaires next door. For example, if you’d known that streaming video would soon crush traditional movie rentals and cable TV, you could have turned $5,000 in 2007 into $395,000 today on Netflix. A similar $5K stake in 1997 in the “new online retailer,” Amazon, would be worth... hang on for this one... $4.3 MILLION today. And it’s NOT any risky biotech development. What I absolutely love about this one opportunity is that you don't have to set aside much money to potentially see life-changing results. $500... $200... even $100 can get you started! 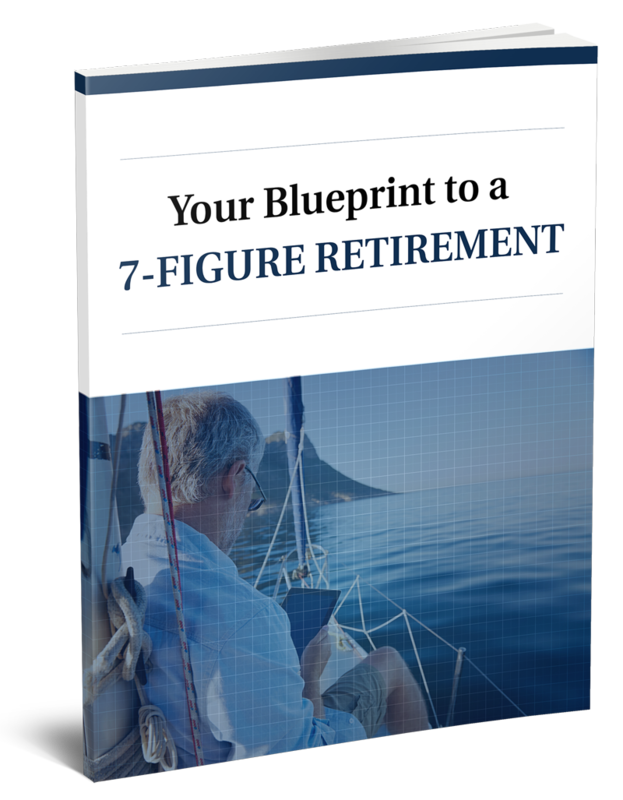 Yet the gains here could hand you the seven-figure retirement you’ve always dreamed of. Barron’s just went on record saying we could see a 40% pop... within the next six months alone! So what exactly is this cash-gushing investment? I’d like to rush it to your inbox, free of charge, moments from now. Over the past decade, China’s come to dominate the market for one particular high-tech device. China’s success, fueled by illicit practices, has largely come at the expense of a company that currently trades for about $2.75. But as America cracks down on China, this free-market competitor is set to benefit MASSIVELY. Already, margins have TRIPLED, and profits recently rocketed a stunning 492%. 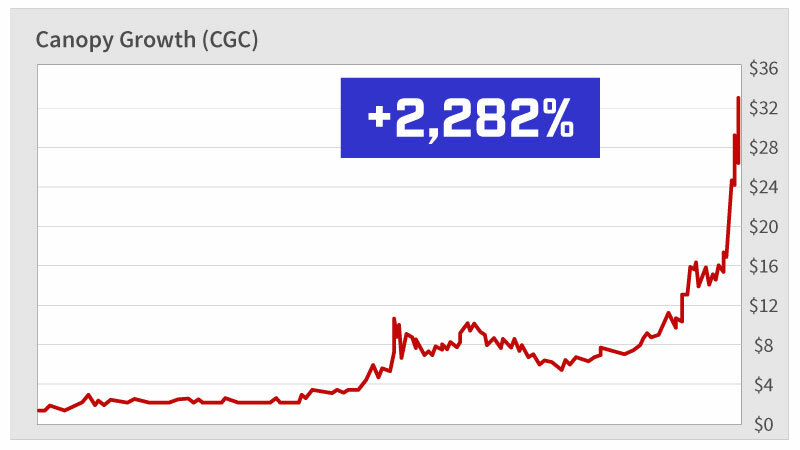 I’m looking for that $2.75 share price to follow... and soar even higher. You could see gains as big as 1,000%. 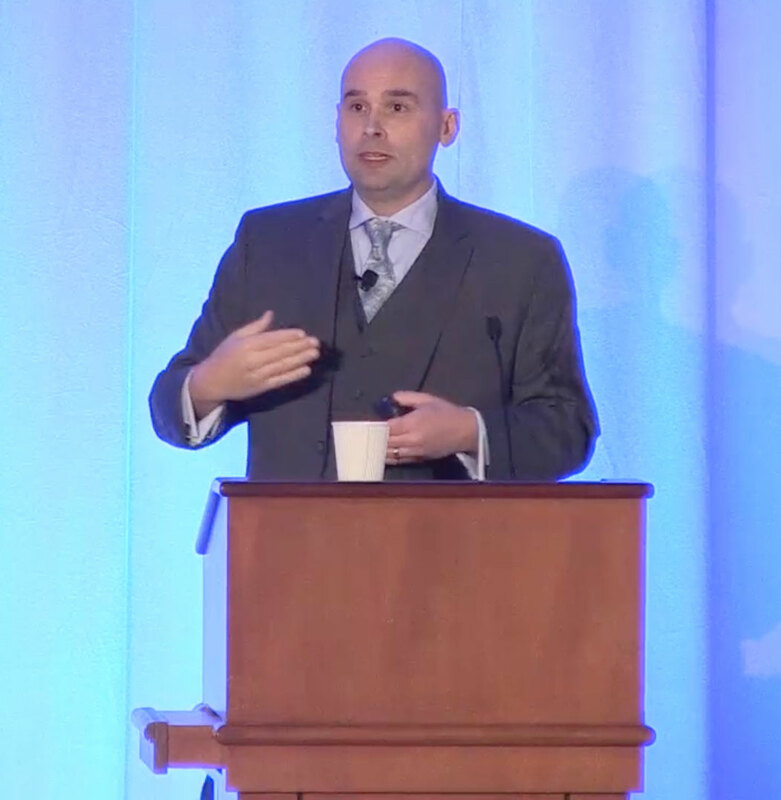 I’d like to send you the video of my recent appearance at The Oxford Club’s premier annual event, our Investment U Conference. In it, I reveal three of my top strategies for making very good money in the stock market, year after year. And the third involves a technique for making serious money in any market... including the stock market correction that’s inevitably coming. More than 300 Oxford Club Members spent thousands of dollars each to travel to and attend this conference. But I’m going to give you access to my exclusive presentation, Three Top Strategies for Today’s Smart Investor, for FREE. So that’s three added special bonuses today, valued at $427. But they are yours FREE of charge when you take a subscription to Strategic Trends Investor. My subscribers are making some VERY serious money RIGHT NOW from these same kinds of recommendations. As I’m preparing this presentation, my Strategic Trends Investor subscribers are sitting on SEVEN double-digit gains. Like Dan Bevan, who’s added a fast $16K to his accounts. 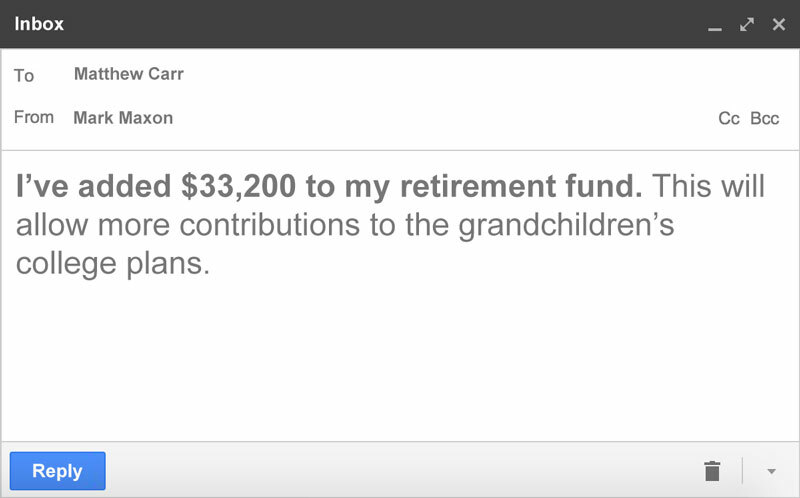 Frank Thompson is also up big, having amassed nearly $20,000 with my help. 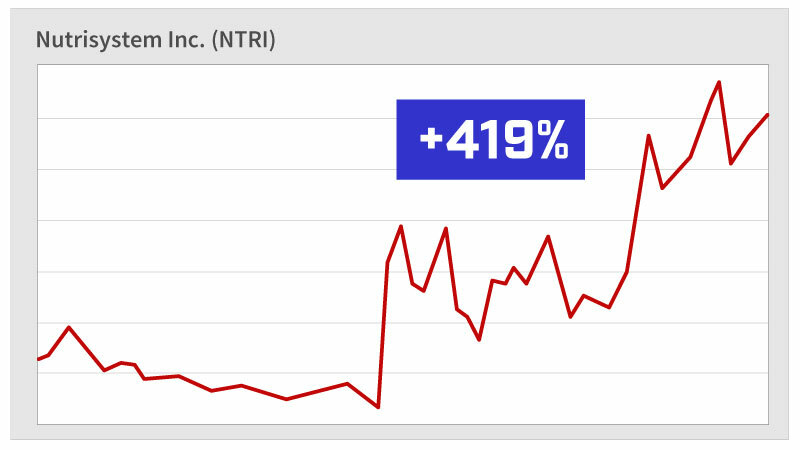 And I’ve led other subscribers to the shot at record gains as high as 1,889% and 2,733%. Or how you just made a fast 10X profit on one of my pot stock recommendations and turned $1,000 into $10,000. Take a trial today, and each month, I’ll rush you the latest issue of Strategic Trends Investor. In each Strategic Trends Investor issue, I’ll also fill you in on any updates to our existing recommendations. You’ll know where I stand on every opportunity I’ve uncovered for you. I could easily charge $25 per issue, adding up to $300 per year... but I’m not going to do that, as you’ll see in a second. 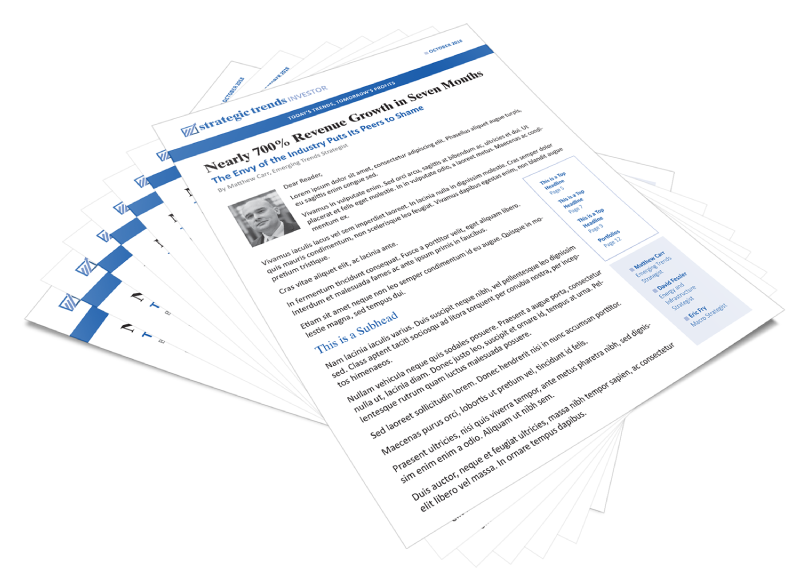 In addition to my monthly research and recommendations, you’ll also receive timely bulletins in my Weekly Wire email. I’ll send you breaking news on the important global trends that affect your wallet... often focusing on the exciting natural resource and energy sectors. Weekly Wire is my way of staying in touch with you 52 weeks a year. If we charged just $10 per bulletin, it would easily be a steal at $520 per year. But you get Weekly Wire FREE of charge. Plus, of course I’ll rush you any important updates on the China Payback Checks situation you learned about today. We drill down deep in these sorts of exciting opportunities each month in Strategic Trends Investor. I aim to find the kinds of big winners you typically won’t get in your Vanguard portfolio or in an ETF. 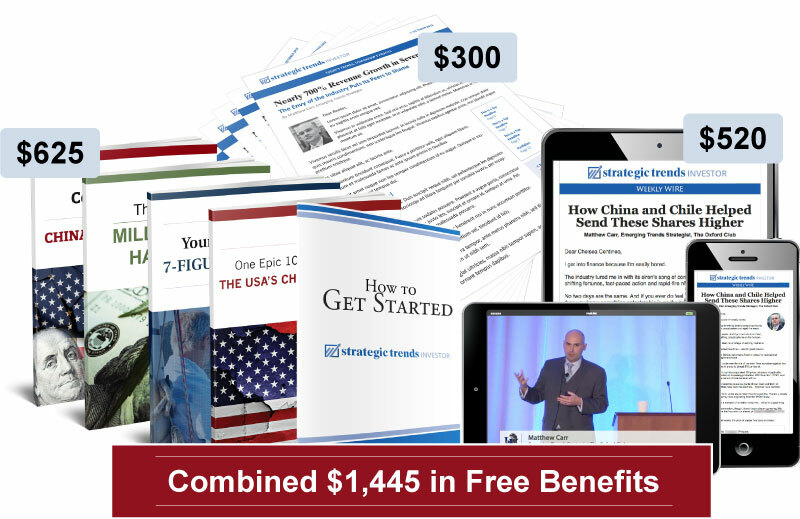 That adds up to $1,445 in FREE benefits you get as a new subscriber. Now, I’ve seen hedge funds and large institutions charge $4,995 or more for research like this. But I’m not going to even come close to charging you that kind of money. Considering that it’s AT LEAST a $1,445 value, I think that’s insanely low, to be honest. The subscriber who made $800,000 after signing up last year would agree, no question. And yet I’ll do even better for you today. I want to welcome you as a new subscriber for the ridiculously low price of just $49 a year. A $1,445 value... for just $49! You can get started right now by simply clicking the button below. You’ll go to a page where you can review ALL the details before committing to ANYTHING. You can claim this special offer by clicking the button below. We’ll give you back every cent of your subscription fee. No “handling charges.” No nonsense. You’ll get back every penny! But I don’t think you’ll do that. You’ll be with us for the full year. Please click the button below to review everything you get so you can make an informed decision. But you must get in before the date shown above for a chance at the biggest checks. 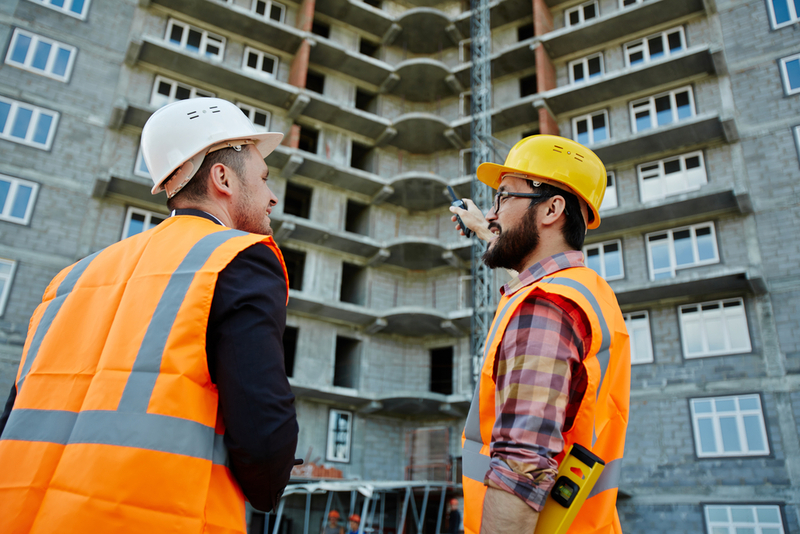 You’ll be taken to a secure order form where you can review everything before making a final decision. Then, if you have any questions about this offer at all... just call my friendly Member Services Team at 866.405.2353 or 443.353.4512. I look forward to hearing about your winners!